The definition of ‘finance’ basically relates to the management of money. As such, its scope can apply to nation-states, corporations and even individuals, although this set of discussions is essentially a basic primer covering personal finances. Of course, for many, the scope of personal financial management covering long-term savings and investments may not be a priority, when income is immediately consumed by the day-to-day cost of living. However, in today’s world, total ignorance of financial matters is not advised. Note : At the start of the 20th century, only a small percentage of people had any kind of retirement pension. As such, they were faced with some stark options: 1) work until they dropped, 2) work part-time, if possible, for a small income in-lieu of pension, 3) stop working and rely on family, 4) suffer the consequences, e.g. the poor house. 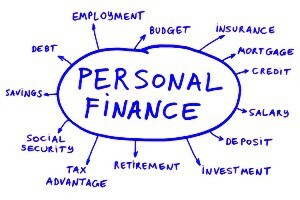 While, today, many are simply struggling to pay all their immediate bills, the management of personal finances, i.e. income and outgoings, can still be quite a complex ‘juggling act’. For example, many aspire to own their own home, usually purchased via a mortgage, which then invariably entails some form of financial management of bank accounts and credit cards. As a result, the payment of all loans has to be managed, while also giving some thought to the need to secure a pension and, if possible, some savings for any ‘rainy days’ that might lay ahead. Strangely, while this situation is hardly new, few are ever taught even the basics of personal finance in school and therefore possibly enter the adult-world understanding little about the necessity to manage their finances in either the short or long term. The temptations and pitfalls of easy access credit has to be carefully managed, and possibly avoided, when first aspiring to own a car and/or when first moving out of the family home into rented accommodation. In addition, most students can now be confronted with the need to take out a loan to cover the cost of their higher education, which can easily amount to £50,000 over a payback period of 25 years. While repayments may start off as low as £30/month, by the end of 25 years, this amount may increase towards £300/month. As such, many young people can easily fall into debt from the very start of their adult lives, which may then take years to pay off. Today, many still aspire to buy their own homes, which will probably represent the largest investment they will ever make. However, this investment normally requires an initial, and normally substantial, deposit to be saved plus the continuity of long-term employment in order to pay off the mortgage over a period of some 25-35 years. Equally, while there is a perception that house prices only ever escalate upwards, like all investments, the value of a house can fall and lead to negative equity problems, if certain pitfalls are not understood. Finally, as we live longer, the state and employers appear to be signalling that they are no longer willing to underwrite any guarantees about the value of any future pensions. As a consequence, many may consider the equity value in their home as part of their long-term investment plan; especially if any significant personal pension contributions have to be deferred in order to cover ‘more pressing demands’ on income. While this idea is not unreasonable, unlocking this equity in retirement is not as straightforward as some may initially assume. One example of ‘more pressing demands’ can be the significant cost of children, if and when they arrive, which may be compounded by growing worries over life-long job security as middle-age is approached. Therefore, the goal of this primer is simply to provide a basic overview, which while not necessarily representing anything like the full complexity of the financial world may illustrate some of the basic principles at work. For example, in order to illustrate the consequences of purchasing, or not purchasing, a mortgage or a pension, model examples will be based on the assumptions of an average working life of 40 years, i.e. 25-65, followed by a retirement of 20 years, i.e. 65-85. It is highlighted that while these assumptions may be valid today, any projection extending some 60 years into the future must be treated with caution. Although there are many possible circumstances that could be projected onto the basic assumptions above, the model to be followed will focus on the fact that most people live in some form of partnership, where they initially share the cost of getting onto the property ladder plus the other typical financial considerations, e.g. cost of living, cost of children and securing a retirement income. However, before discussing some of the specific issues associated with this model, it may be useful to provide a brief introduction to the scope of financial services plus how the basic mechanism of interest rates can underpin, or possibly undermine, savings and loans that most people have to consider at some point in their lives. Financial literacy is an issue that should command our attention because many are not adequately organizing finances for their education, healthcare and retirement.